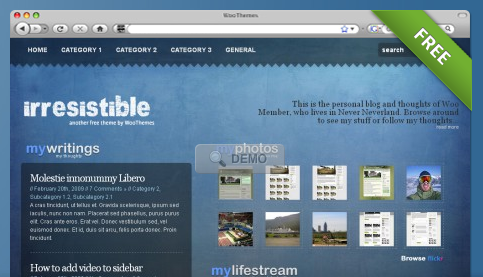 Updated December, 2011: In what has become somewhat of an annual tradition for Blogex, we are pleased to share with you our Third Edition of the Best WordPress Themes: this time for 2011. If you are looking for our top pick in WordPress Themes this year, it is without a doubt Elegant Themes. WordPress has seen significant growth throughout the entire year, with an estimated 32 million sites running WordPress as of December, 2010. Whether you are completely new to WordPress or are a seasoned pro, this page contains some of the absolute best Free & Premium WordPress Themes available today. (And best of all, we keep it updated). Forget the days of browsing site after site only to be left wondering, “Is this still updated or compatible with the latest version of WordPress?” Through all of 2011, we will be continually adding new themes with changelogs if necessary. We encourage you to share your theme recommendations in the comments below so we can add them to our list. We are going to add new features this year by showcasing some great Premium Plugins (to give your WordPress site the added functionality it needs) as well as the Best WordPress Hosts (best price, highest reliability, easiest to use), so you can not only learn about the best themes for your WordPress powered site, you now have the chance to find ALL of the best WordPress services right here on one page. Remember: we keep everything updated throughout the year, so bookmark the page and check back often. Help us even more by linking to this post on your website or blog and sharing it on FaceBook and Twitter. 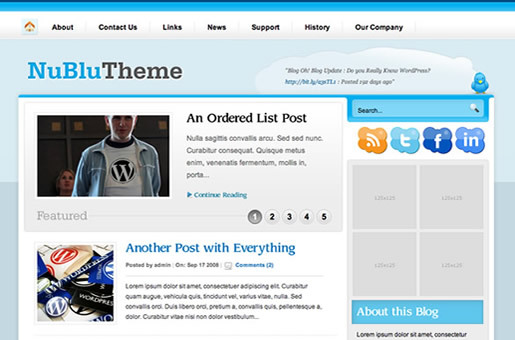 We are also excited to remind you about our daily list of WordPress Themes. Each and every day we add one new Free WordPress Theme and one new Premium WordPress Theme so you can stop searching site after site for the best new WordPress Themes – we have them all here, and if you just check back here daily, we PROMISE it will be worth your time. We even have a list of the two best WordPress hosting companies (with a cool bonus from us if you join either of them). To find all of this information, simply select one of the buttons at the top of this page. So yes, lots of exciting new additions this year – but let’s get down to what got you here in the first place: The Top WordPress Themes of 2011. 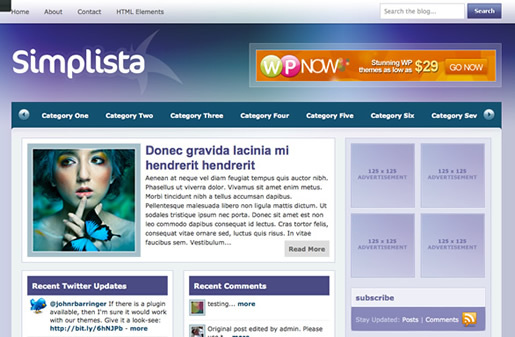 JohnGalt is one of our favorite Free WordPress Themes for 2011. If you are doing any sort of business online, chances are you are selling something: a product, your services, affiliate offers, etc. 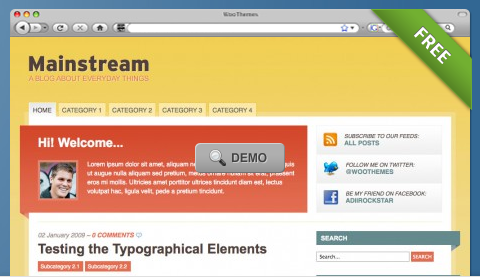 Over the years of testing different layouts, this narrow main content pane has consistently preformed the best and yet very few theme developers use this layout when designing free or premium wordpress themes. While you should always be testing things like graphics, font size, colors, and the like – JohnGalt will help take a big part of guesswork out of the equation by providing a layout proven to convert. Our friends at Learn Financial Planning have not only created an exceptional free theme in JohnGalt, they also provide information on things like the top online savings account and the best savings account rates. 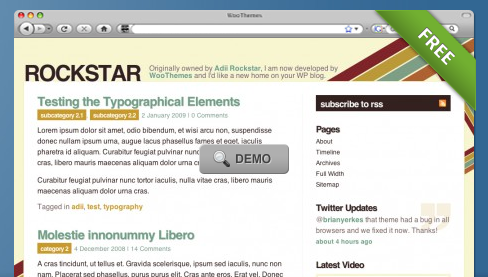 WooThemes continues to be a great source for high quality free WordPress Themes in 2011. From SEO to design to the plain ol’ attention to details, the free WordPress Themes from WooThemes are some of the best. If you’ve spent any amount of time research WordPress Themes, I’m sure you are no stranger to WooThemes. They continue to be in front of the pack for a reason. Below you will find all of their free themes (including their 100th theme release Swatch) with links to view and download. New WP Themes was new to me in 2010, but boy was I impressed. Not only do they release a free, new WordPress Theme almost every day, the designs they come up with look pretty professional, and they have been consistently releasing themes for going on 2+ years. Some of the sites that release themes that often lack the “wow” factor because they are just focused on volume. New WP Themes seems to have found a good balance between high volume releases and nice looking designs. Add some of that high-end functionality to your site with one or more of these awesome premium WordPress plugins & code snippets. Prices from just $2. We’ve tested just about every major (and minor) webhost out there, and at the end of the day — these are the only 2 you should care about. Plans start from $3.95/month and both specialize in WordPress Hosting. 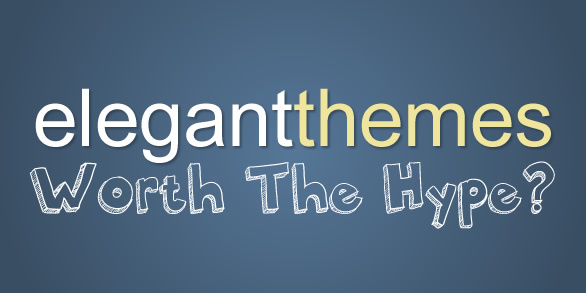 For Blogging Experiment we used to use HostGator’s basic shared hosting which you can get for 1 penny with this link. Just recently, we transferred to Site5 for their VPS account. You can try Site5’s shared hosting or even VPS hosting FREE for one month with this link (coupon code: FREETRIAL). Web Hosting Hub is our favorite all-around web host with the best combination of price and features. Check them out today! For a more detailed review of Web Hosting Hub, check out our WordPress Hosting review page and discover how to join for 43% off! Let’s face it: when things are free, you often get what you pay for. While there are a LOT of resources for high quality Free WordPress Themes listed above (the best in my opinion), sometimes it’s hard to know which of the Premium WordPress Themes are worth the investment. Here are our three favorites for 2011. Theme Forest is a wonderful place for WordPress Themes in 2011, and if you are looking for the widest selection of premium themes and HTML templates, this is your choice. Better yet, they are part of the Envato Network which includes other sites like Graphic River (to buy stock images), Audio Jungle (to buy stock audio), Video Hive (pre-created video clips), and more so your one account can work across their entire network. Visit Theme Forest, setup your own account, browse the different marketplaces they have created, and you will quickly see why everyone loves the Envato sites. 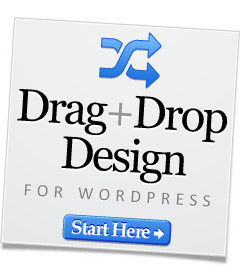 They are the first place I turn for all things “web” related, and they are one of my top picks for Premium WordPress Themes in 2011. At the end of the day, there is simply no better deal in all of WordPress than Elegant Themes. With over 60+ premium WordPress themes, this club blows everything else out of the water. For a mere $39 (yes, just $39) you get access to ALL of their premium themes + access to their support forums which are second to none. I’m not just a fan of ElegantThemes, I’m also a paying customer. They provide some of the highest quality Premium WordPress Themes of 2011, and they come at a price you simply won’t find anywhere else! This is one example where you as the customer get the better end of the bargain. While most individual premium themes cost $40-$100 each…for a fraction of that, you can download ALL of the over 50 premium themes from ElegantThemes for $39. If you do anything with WordPress, this is the membership you need! Never knew there was that many wordpress themes for 2011 – looks like 2011 is going to be a great year to start blogging I already have four blogs but I can always start up another one!! there are themify.me, uptheme.com, themeturst.com, and more. Yes, WordPress doesn’t show any signs of slowing down this year. I hope you enjoyed these themes, and let us know if we can help you out with anything in the future. 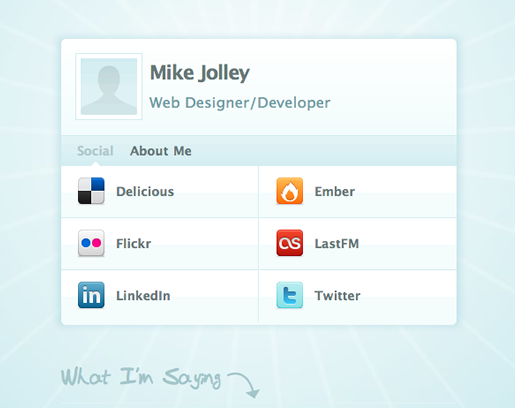 Hmmm…2011 looks strangely like Woo Themes 2009…. I just found my theme. You are a genius! I think you missed woo-themes “placeholder”. The only one actually released in 2011. Other than that you´ve covered them all. Placeholder has been added. Thanks Andreas. Great list. You should also consider our company, AppThemes. We make Premium WordPress Apps which are more focused on functionality and payment gateway integration (PayPal). David, you’ve got a great site there. You should get in touch with us so we can feature some of your individual themes on our new Premium Theme section of Blogex. Follow us on our new twitter account: http://twitter.com/blogexthemes and send us a tweet so our AWESOME reviewer Kory can check out some of your themes and write a post or two about them. We take a unique approach to our premium theme section and release ONE new, great theme each day. Very cool template collection. Thanks for sharing. Hi Kyle, nice list, but why no dark wordpress theme? Isn’t there a dark theme good enough for 2011? Karen, feel free to share one if you know of any, but that is a good point. I’ll take a look and see what can be found for a more “darker” themed WordPress Theme in 2011. Hi Kyle, good list of wp-themes.. but you forget this one, a cool free premium theme named PRESSure. I listed it on my blog. Thanks, Freemium…that could be a nice addition to Karen’s comment about getting a nice (free) dark WordPress theme for this list. A lot of other lists you find are so outdated they might as well put those animated gifs of Halloween spiders in cobwebs on them. Thanks for putting all of this stuff in the same place. 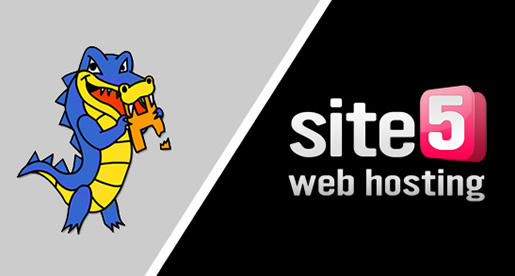 As for improvements, maybe a compare and contrast of Hostgator versus Site5 (since they’re the same price) would be useful now or in the future. Thank-you, and that’s a great suggestion. My problem is that I seem to have hit some sort of “word count” limit with this post (not sure if it’s a theme issue or something else – I don’t think it’s a WordPress issue since other sites I own have posts longer than this). In any event, I think your suggestion about going into a little more detail about the best WordPress hosts of 2011 fits in great with the theme of the current article…that way we can keep those animated spider webs off! I’ve seen some of these from last year or even before but still, very good list and just so useful for me right now too. Thanks for stopping by, Marios! Thanks so much for sharing Basico dark. You’ve got a great list here. Cheers! You bet, AJ…thanks for making something worth sharing It would be great if you would share this article with your growing WPExplorer Community. Thanks in advance! 1. 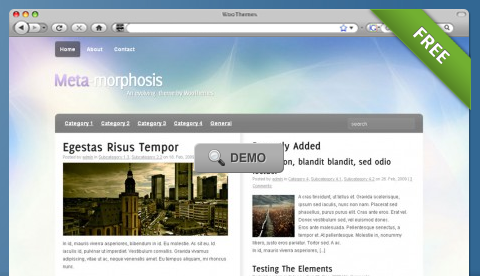 Is Thesis regarded as outdated nowadays, compared to the themes in “Themeforest”? 2. What’s your recommendation for a free membership site with a community? I wouldn’t say that Thesis is outdated, but there are a lot of other great options for WordPress Themes in todays market. In regards to your second question, the best free membership site with a community in my opinion would be ThemeForest. Their forums are actively participated in, and they even also give away a free file of the month on the ThemeForest.net homepage (an html template or WordPress theme). I’m just writing to tell you about the release of my new WordPress theme, Keybrdr. I wanted to bring something new to the WordPress community with this release, and I think the result is a unique and refreshing theme with a wide range of potential uses. Keybrdr is a powerful premium theme for WordPress featuring simple, usable keyboard navigation which makes browsing content a pleasure. The up and down keys slide between posts, and you can use the left and right keys to navigate into and out of individual entries. On paginated pages you can use the p and n keys to see the previous and next page of posts. Keybrdr is perfect for portfolio websites, but has a wide range of potential uses, from photo diaries to more traditional blogs. Mike, that’s a very interesting approach/design. Thanks for sharing it, and thank-you for doing it in a professional way. If you could only see the number of flat-out spam comments we get with people wanting to post their link/site with ZERO contribution to the discussion, you would probably be shocked. Your post and the fact that you did not include any outbound links is the exact way someone should do it when trying to share their own, personal items. By not sharing a link, it is understood that the link tied to the name is the appropriate place to visit (which in your case it is and showcases your wonderful theme). Now It’s different if commentors are recommending a third-party website/service (then you are free to link out as necessary), but I did just want to say Thank-You for giving a good case study of how to comment appropriately AND having such a creative, unique premium WordPress Theme. Hope to see you back at BLOGEX soon and best of luck with your WordPress endeavors, Mike! Hi Kyle, thanks – I know exactly what you mean! Hope you’ll consider Keybrdr for any upcoming posts/tweets/anything you can throw my way! Really like the site, I’ll be checking back every so often. 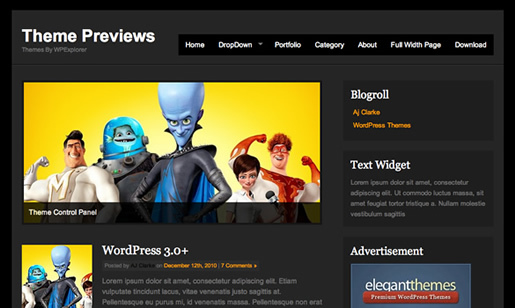 thanks for this great post, I definitely love Woothemes since they are simple and really GOOD LOOKING! Awesome! Great job, I’ve been waiting for this post for so long now it is here !!! Thanks a lot – I love these themes! That is a great list. Thanks for taking the time to put it all together. Really appreciate it. You’re most welcome. Be sure to come back soon and check out our new homepage that features a new premium wordpress theme every day…the best of the best! Thank you for sharing, pretty nice collection of wp themes. I Was Searching For A WordPress Theme & Found Your Post From Google.I Really Liked The Themes From WooThemes. Really Very Much Thanks To You For Sharing This Themes. Great work and great themes. I Was Searching For A WordPress Theme & Found Your Post From Google.I Really Liked The Themes From WooThemes. 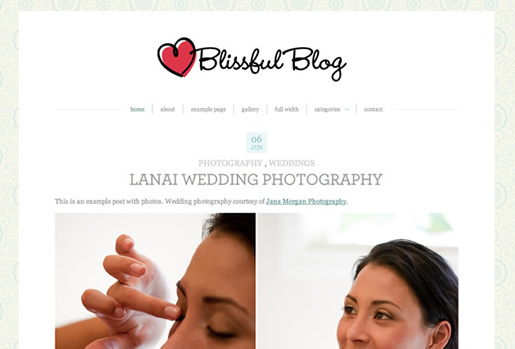 Really Very Much Thanks To You For Sharing These WordPress Themes For 2011. Lovely collection.. I love it.. I will grab one of these wordpress themes for my next project! thanks! WOW so many WordPress Themes to choose from. Excellent resource for all bloggers and developers. I am looking for a good listing theme for WordPress. I want to list villas, houses and hotels if this is possible to do on the WordPress theme. Any suggestions? There are a few options out there for listing related real estate WordPress Themes. Two of my favorites are Estate from WooThemes and Elegant Estate from Elegant Themes. Both are superb themes, however with Elegant Estate from Elegant Themes you also get access to their over 60 other themes for the one time price of $39. That’s where I would lean towards going, but both are great. I just released a new free theme : agency. Nice collection. I’m big fan of WooThemes and using them a lot. Found some new ones here. 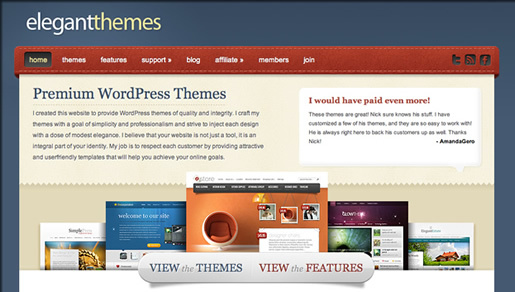 EZ WP Themes.has some really cool personal wordpress themes. Going to try some of them. 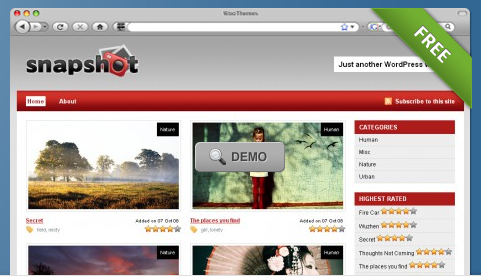 WooThemes really offer some amazing free and premium themes worth buying or downloading. I use one of their free themes on my blog and the theme offers many adjustments and SEO setting that really spice up your blog. I really recommend this site! To help you find the best WordPress Themes of June, 2011 – we added the Crafty Cart Free WordPress Theme for those of you looking to add shopping cart functionality to your WordPress-powered blog or site. The list is quite overwhelming. I’ll have to devote the whole weekend picking them one at a time until I find the near perfect one for me. Thanks for saving me the long search. Why was “Thesis theme” left out ?, Is it because of the price or something else ?. Check the sidebar. 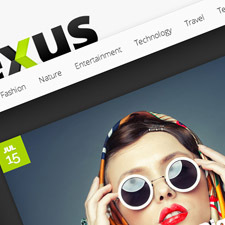 It’s our Number 1 “individual” premium WordPress theme. While we think it’s great and that everyone should have at least ONE copy of Thesis, we still feel something like Elegant Themes is a much better all around deal for WordPress. 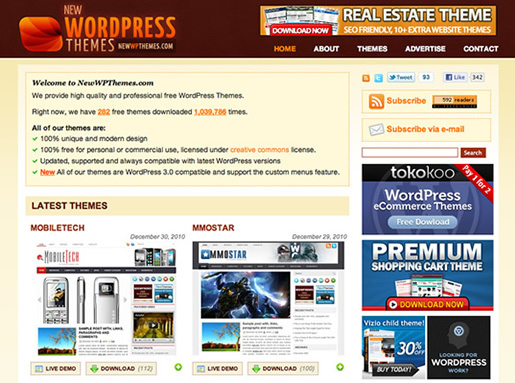 We’re big fans of WooThemes. We’ve used their themes on some of our larger sites and just recently joined their “club” with a low monthly fee to have access to all of the various themes. If you have quite a few websites or don’t know exactly what theme would look best for your site, it’s a pretty good deal…. Love Elegant Themes and Theme Forest! Nice list of themes! Thanks for the excellent list. I have used the mainstream theme from woo themes and it was really easy to setup and nice layout. I am also using mainstream theme with blue background from woo themes and really impressed with the features they are providing in this free theme. 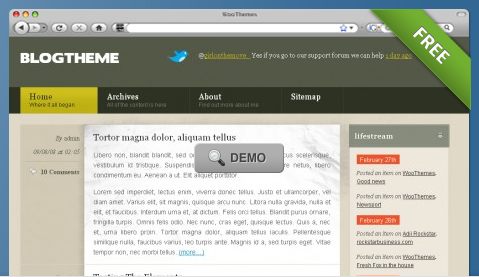 Many thanks Kyle for your hardwork compiling this list to share helpful free themes. Great job guys! these are beautiful! I wish people would offer more free themes most wordpress theme sites have the same templates listed. Looking forward to more …. If I had seen these themes earlier. They are cute and I love them. great collection of Themes – It’s cool to see how in 2011 the availability of so deeply different themes has grown – WP was in the beginning only a blog engine, now it seems like an excellent platform for building almost everything. But….but….sometimes themes are way too complex, and messing around is not too sweet especially for a newbiew. After installing a WordPress theme, the biggest problem most users are facing is indeed customization: every theme has his set of options, more and more panels in the wp-admin….and sometimes for a coder it’s simpler to work out the css or the template files rather than guessing what option to edit. Starting from this consideration, I wanted to develop a different concept of customization, allowing live theme editing, without leaving your site. I’d love to know what you think. Please check out the Cluster-One Theme at my signature. Kyle, you are absolutely right when you say elegant themes is the best deal around. People want free, but it practically is free compared to what you get. The layouts and functionality are amazing. Imagine paying a developer for that kind of stuff. its nuts! Honestly we run an elegant theme on our website too, and it’s fantastic. Considering we’ll be rolling another two soon, and the price we paid is for ALL their themes for a year, it is an amazing deal. And their support is great. People, I promise, I don’t work nor profit from elegant themes. It is actually the first time I make a recommendation online, but I couldn’t really avoid it. Seriously. Thanks for the list of themes! I currently use Elegant Themes..absolutely great theme provider – I would recommend them to anyone looking for great quality. Highly functional solution templates for most modern web sites that should be fresh and beautiful. Thanks for post! Fantastic colection of word press themes but do you have themes that show a video picture in front plus have sites to put a clickbank sponser and somthing lik that. Downloaded “The Morning After Theme”. Will use it for one of my sites. can i find online store best themes collection? Thanks for sharing this excellent collection of WordPress themes. Personally, my favorite WordPress themes are: Thesis, Genesis and Dark Prestige from DC. Studio Press has my favorite themes. Great review. Great review and great themes! I really like how functional they are. Thanks! I have to say, we at CTS have had great results with Some of this themes, Our clients are thrilled to see such great functionality on their sites. I will definitly check out the others you mentioned. Thanks for a great post BLOGEX! Woo themes have great themes but there is another great free premium theme provider: fthemes, excellent. I think they use flexithemes framework but it is free. Thanks for picking these out, I’ll keep for your update. Great review and great themes! Great list with many beautiful themes. I am book marking this website. Thanks for providing me with this list ! The Morning After is such a beautiful theme, thanks for the great collection. Free themes can be hard to find but you done a good work. I am going to check out those EZ WordPress themes. Thank you for compiling this list! Good list of themes. Why you aren’t include Thesis, Genesis theme frameworks in this list? 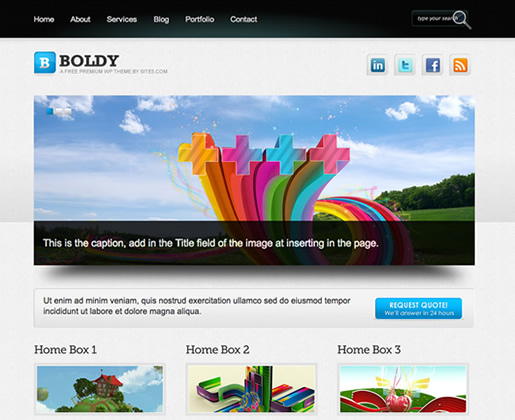 They are among best WordPress themes. I Want WordPress Theme Adsense & SEO Ready.. Very nice and very decent themes. I liked Nublu. I downloaded it and I am gonna use for my forth coming blog. Thank you for giving me beautiful blog theme. Another Premium Quality Free theme is available at wplegion.com. You can also include that to the list. That’s just brilliant and saved me a lot of time trying to find a really good theme for my logo design website. I’ve been looking for a new theme, and think I will buy the elegant theme pack. It looks like a great deal, as well as theme forest. Thanks so much! Best themes I have ever seen, congratulations! Good list of themes. Thank you for compiling this list! These are the best of 2011 thanks for putting them together. Very nice theme, i use woo theme it’s my favorite wordpress designer. I had not yet dealt with any of the work by WooThemes, so thanks for pointing them out. I certainly agree that for the time being, Elegant Themes is the best out there and their ePanel makes it especially easy for use by tech novices. Great collection of themes! was looking for a good looking theme for my personal website. I ended u with 2 favorites! thx! Looking for a good theme and now I think I’ll surely got one from here. Its a nice collection of themes. The download urls of free woo themes are not found. Thank-you for the heads up. We’ve fixed the links. I really like the way this web site is set up, and the keywords and traffic are quite good, the only problem i do see is with the yellow background as it is difficult on my eyes, although i have the same problems with pinks, and the new fad of everything being orange. keep up the good work i say wow, look at all of the tweets and facebook likes as well, someone seems to have done something right. Very nice theme, I use woothemes, it’s my favorite wordpress designer. I never thought that this theme really exist in wordpress. Its really amazing. I kinda like the color and the presentation made on to the themes presented. 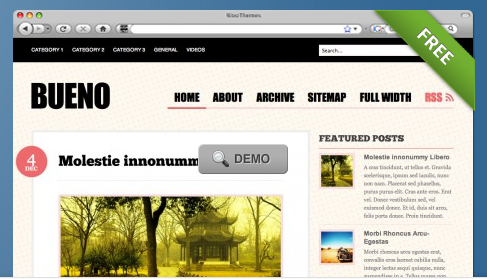 In this post you have here with this wordpress themes you have done, its really stunning dude. Ohh, by the way I kinda planing to buy some of it for my site. Good job dude. I was thinking of some new wordpress themes for my blog. Your article is very interesting and as you mentioned, I wish to try Elegant themes.Thanks……..
I’ve noticed a large number of the sites found vulnerable to the timthumb hack over the last few days were based on WooThemes. Anyone know if this is being worked out or if a simple update would have saved a lot of headaches? Id include weaver in this list, tops! I hope for more post like that, thank YOU. Very nice themes. Impressed with your own site design. thanks for sharing the information.